CoThinkk | Community. Collaboration. Commitment. 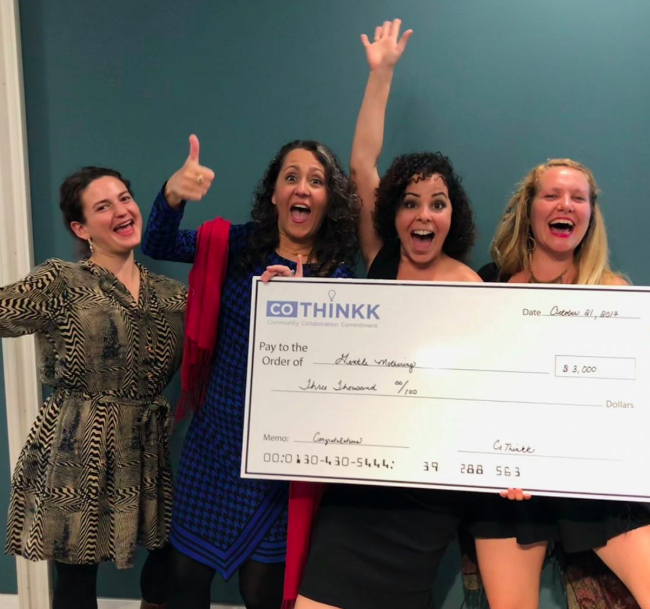 CoThinkk is a giving circle that invests its time, talent and treasure to accelerate positive changes in communities of color in Asheville and Western North Carolina. Our model is grounded in trust building and authentic collaboration, through intentional space for monthly meetings, bi-yearly retreats, fellowship and covenant between/among members. These close-knit relationships and networks are how we define “scale.” The deeper, more connected, authentic, aligned, and coordinated, the better the impact. Anyone is welcome to attend a meeting, become a member here. 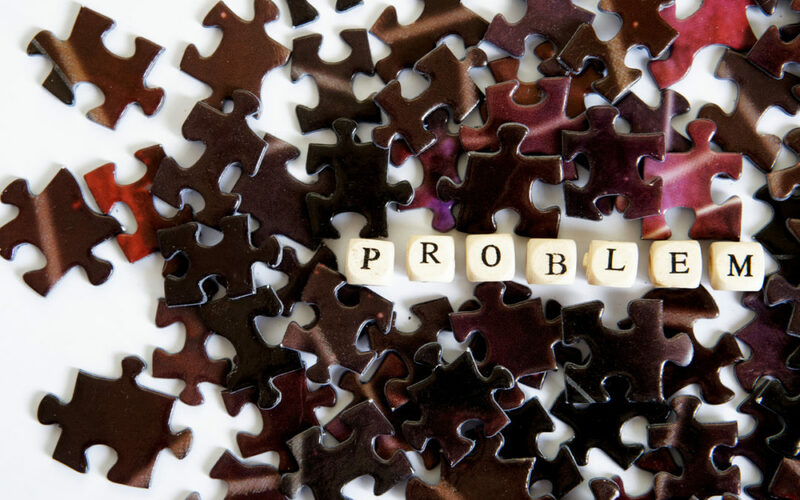 In addition we use the “CoThinkk Breakdown” where we identify local/regional funding opportunities and streamline their application process into simple steps. In 2016-2017 this process resulted in over $60k back into community for innovative projects. You can support our mission to expand access to resources for WNC leaders of color by donating here. We aim to build capacity of leaders through strengthening alliances and collaborations. We completed the pilot leadership series: “The CoThinkk BluePrint,” 15 African American and Latinx leaders graduated and formed partnerships. We have multiple capacity building workshops a year in topics ranging from “Capturing Dreams:” CoThinkk Grant Video Workshop Training, “Aspire to Fly:” Grant Letter of Intent writing workshop, to leadership development and self care. Learn about the BluePrint Leadership Series here, next round will be offered to grantees and honorees in 2020. Shifting resources and power dynamics is our strategy. Changing the narrative around the lack of leaders of color. We value changing the patterns of local/regional institutional practices that impede equitable outcomes. Our Annual Event provides a visible platform to acknowledge powerful leaders. We have honored 14 leaders and highlighted 29 others in the past two years. 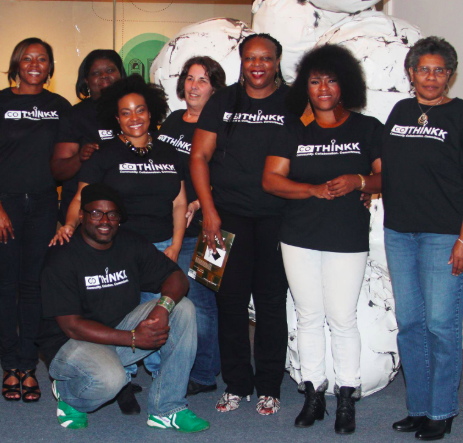 CoThinkk is revolutionizing philanthropy in Asheville and Western North Carolina by creating a model of giving that links the time, talent & treasure of CoThinkk members directly to people and organizations that positively impact communities of color. 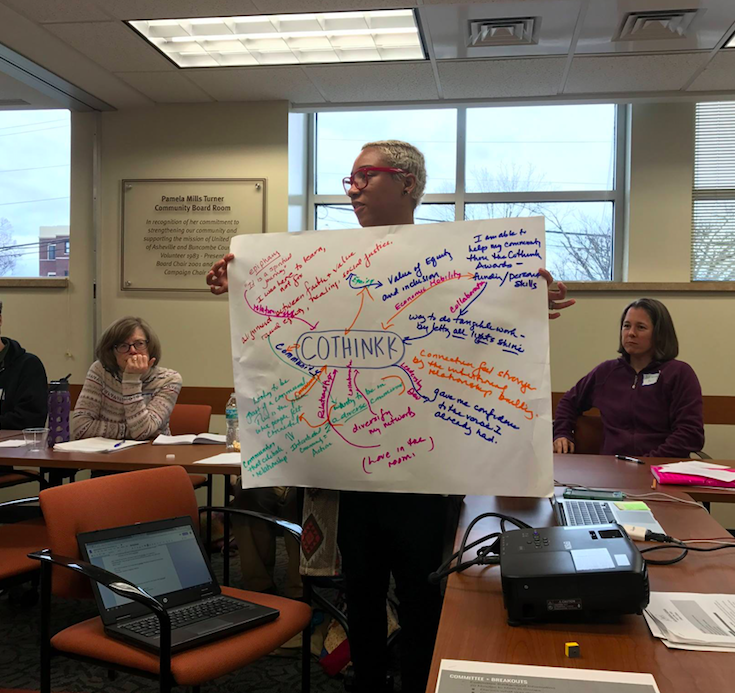 CoThinkk is a giving circle that brings together community leaders who care about the economic and social well-being of communities of color in Asheville and Western North Carolina. Led by African American and Latinx leaders specifically designed to create supportive networks, accelerate systemic change and seed new initiatives through a shared leadership model. 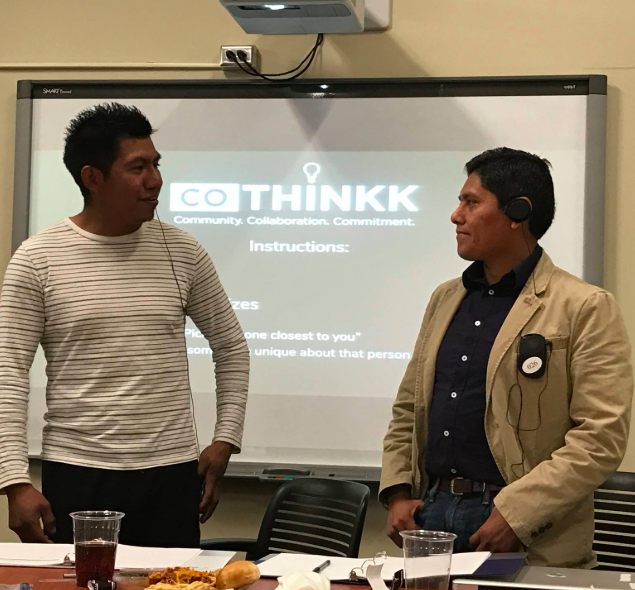 CoThinkk es un “círculo de entrega de apoyo” que reúne a líderes comunitarios que se preocupan por el bienestar económico y social de las comunidades de color en Asheville y el oeste de Carolina del Norte. Dirigido por líderes afroamericanos y latinx específicamente diseñados para crear redes de apoyo, acelerar el cambio sistémico y generar nuevas iniciativas a través de un modelo de liderazgo compartido.